This sharply styled hatchback previewed a whole new design direction, and actually proved to be decent to drive as well - offering more than just loyal fans a reason to once more buy a Citroen. Try and find another manufacturer with a history as richly idiosyncratic as Citroen and you’ll surely fail, the firm having brought us the likes of the Traction Avant, DS and wonderfully bonkers SM. It even has history of quirky family cars (think GS and BX to a degree) so when it replaced the dull Xsara with the striking C4 fans rejoiced. This sharply styled hatchback previewed a whole new design direction, and actually proved to be decent to drive as well - offering more than just loyal fans a reason to once more buy a Citroen. With its rakish rear window and sharp headlights the C4 was something of a return to form for Citroen’s designers. The stylish hatchback was available with either three or five doors, though both are the same size. The diesel engines are worth recommending, and most of the cars available on the used market are so powered. The only engine available was the 1.6 HDi, though power outputs varied from 90- to 110hp - the latter was equally as efficient though so we’d opt for this if you can find one. Petrol choices were wider, the range running from 1.4- through to 1.6-litre and even 2.0-litre four-cylinder engines. The 1.6-litre is probably the best of both worlds here with CO2 emissions of 159g/km, only 6g/km more than the 1.4-litre, but an extra 30hp. Those looking for warm-hatch performance could choose the VTR with 138hp - though it emitted a rather hefty 186g/km of CO2. Most cars were manual (either five- or six-speed), but a few cars were offered with a semi-automatic six-speed gearbox. These are particularly rare, and with good reason, so if you must have an auto the C4 may not be for you. At least equipment levels were good across the range, starting with standard cars, mid-range SX and finishing with sporty VTR models. Find yourself a good 1.6-litre HDi (in either power output) and you can’t go far wrong. With CO2 emissions of only 125g/km and fuel consumption of 4.7 litres/100km they both prove to be cheap to run, and in the case of the more powerful unit quite good fun to drive as well. It’s up to you whether you need the extra practicality of the five doors, though the three-door with its reverse rake style rear window makes it a truly striking car - especially in sporty VTR guise. 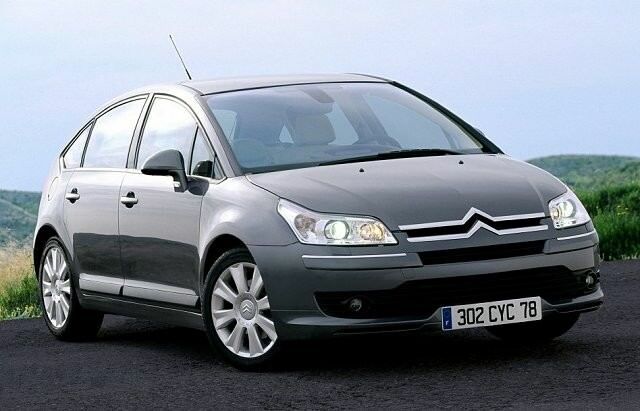 Distinctive, stylish, decent to drive, frugal and efficient (especially with the diesel engine); what’s not to like about Citroen’s C4 hatchback? Not a lot to be honest, as the C4 was a definite return to form for the firm - the only fly in the ointment might be a rather patchy reliability record and some dubious interior plastics. The fact plenty were sold mean you can take your time and make sure you get a good one though.